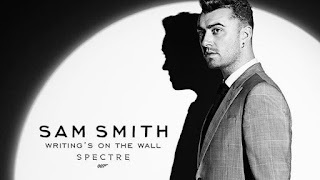 Read Writing's On The Wall Song lyrics and Watch official Writing's On The Wall theme song for the upcoming bond movie "Spectre" by Sam Smith. The video song is produced by Disclosure and Jimmy Napes where as lyrics penned by Jimmy Napes and Sam Smith. And I always get away.. I never shoot to miss.. But I feel like a storm is coming.. If I'm gonna make it through the day.. If I risk it aaaa all..
Could you break my faaall? I want to feel love, Run through my blood..
For you I have to risk it all.. Cause the writing's on the wall..
That haunt me, from my past..
And the light begins to fade.. When all hope begins to shatter..